Green? Watching a Plasma TV – you've got to be joking. Well, not really let's take a look. 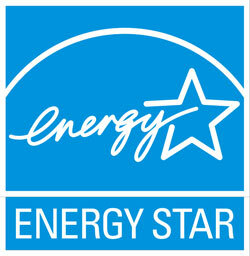 In the past couple of years conventional media wisdom might have persuaded a person to really take a look for that Energy Star 3.0 rating on a TV. Well, everyone has to justify their livelihood right? 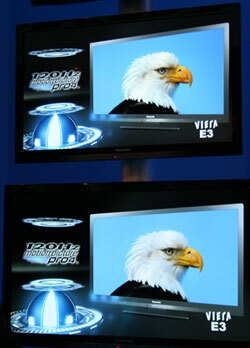 It's true that plasma TVs use more power per viewing inch than competing LED and LCD TVs. But how much more? We'll use 5 hours a day viewing and .10 per kWh power rate to compare. A 50" plasma TV two years ago would have pulled around 150watts for a total monthly billing of around $2.75 per month. With recent technological advancements as widely touted by manufacturers and Energy Star ratings, we now can use an average 50" plasma TV for around 140watts or just over $2.50 per month. Wow, a quarter a month savings. This compares with around 1.65 per month for a comparably sized LED or LCD TV. So maybe a buck a month more to run a plasma. Hmm... dont think $12 a year is really going to enter into my monthly budget woe considerations. A few years ago there were some real energy hogs in the very large plasma department. But they are gone now. At most for a 60" plasma TV you will spend $4 a month. Thinking about going to the convenience store to pick up a 6 pack? Stay on the couch and keep watching TV. If the convenience store is a couple miles away you'll wipe out a whole months worth of savings from owning an LED TV instead of a plasma TV – on the gas alone. In fact, if you really want to be green get Netflix or another online video supply service and cut out your trips to the local video store. Ups, this is already happening – by, by Blockbuster. So let's consider how green watching your TV is compared to other forms of entertainment. First, anything requiring you to drive to another destination has already lost. At $2.50 a month our plasma TV is tough to compete with as you can see. So at home maybe we consider making our own beer, ups sorry we have to have the brewing components shipped in using too much fuel to consider them viable. Reading for entertainment has a real shot at winning this contest, but only if you have a digital eReader. Books cant compete due to shipping or going to the store. You can play basketball as long as its at home. OK that wins. And of course there are a few types of entertainment in which couples can participate that can win the contest, but aside from that – watching a plasma TV is about the greenest least consuming activity in America.